I spent most of this week in Detroit, the well-known and wildly popular U.S. tourist mecca, visiting family. I really enjoyed visiting everyone so I (gasp) didn’t bring my laptop, nor did I think much about housing (or the North Amercian eclipse of the sun on Monday) so I am a bit light this week. As a long time Pink Floyd fan (their pre-1980 work), this tweet hit home (pun intended), because Neil DeGrasse Tyson has spent a large part of his life explaining that there is no dark side of the moon, only a far side. Oh, and forget those special glasses, just use your favorite cereal box. I made this phrase up but the lack of context in a lot of economic information makes for a confused reader. It is one of the reasons I prefer relying on the relationship between supply and demand (inventory and sales) known as the absorption rate, so it keeps each in context. 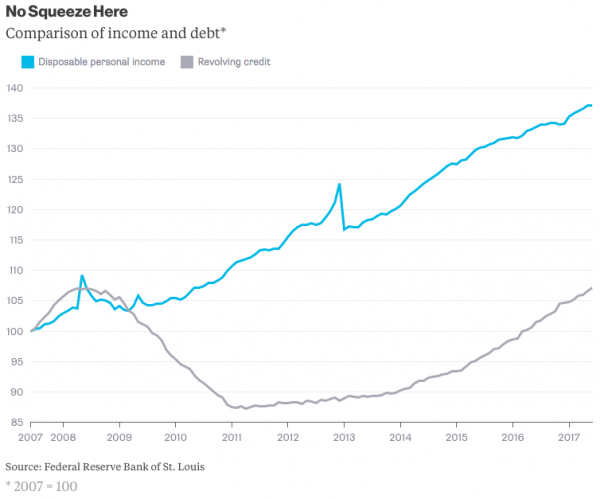 My friend Barry Ritholtz makes this point abundantly clear in his Bloomberg View column: The Imaginary Debt Crisis Is Here to Stay: Household borrowing has reached new records. Big deal. Personal income has grown much more. This concept is illustrated in his chart. And this applies to GDP. 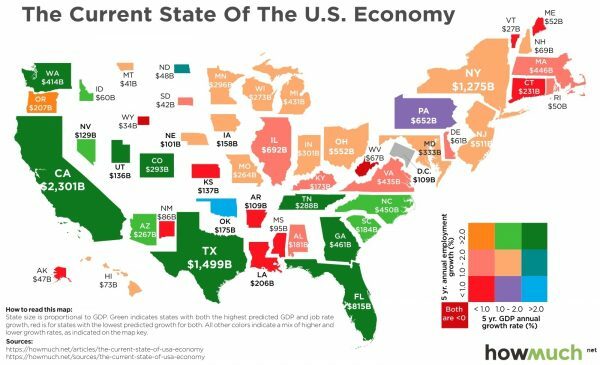 Results vary from each state. Here’s my Brooklyn housing market version. The first shows the two separate trends and the second chart shows the combination (on steroids). In a tiny niche Manhattan townhouse market (2% of all residential sales), the measurement of home size is inconsistent. For real estate appraisers, the measurement doesn’t vary because we follow standards set by ANSI and Fannie Mae. But for others, there is no standard. The crux of the problem: While mortgage underwriters and appraisers follow a standard methodology in calculating square footage—routinely excluding basements and cellars—brokers aren’t required to follow the same rules. Appraisers include all the above grade space and measure outside wall to outside wall. We include “English Basements” in the gross building area because although they are a few steps down from grade, the level opens to the rear yard at grade, has the same finishes and ceiling height as most of the upper floors and it usually contains the kitchen. Most of the time, there is a cellar below this level. 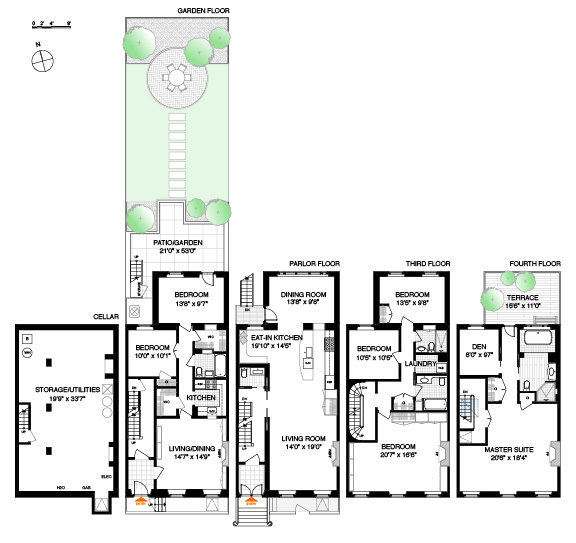 Most importantly, the buyers (the market) assume this level is part of the square footage. In the suburban markets, including basement square footage was a big issue in mortgage fraud and bogus valuations during the housing bubble. Appraisers apply the same measurement logic to the rear extension of the townhouse if one exists. The problem with comparing the square footage in public record (NYC public record for real estate has to be the dirtiest in the U.S.) is it often doesn’t include the extension in the total square footage. In order to make a house seem bigger and its price per square foot lower, the below grade space might be included. When this occurs, the real estate broker might hide behind the architect measurements – which is wrong. Perhaps their motivation is a misplaced concern by the seller that the value of the below grade area would be excluded. This is absolutely not the case. It is simply valued separately. Soft At The Top, But A Little Better? There was an excellent article in the FT this week: West side storey: Manhattan’s $25bn Hudson Yards project. What makes this project vulnerable is it’s heavy skew to the high-end of the market which is already over built. “It’s been obvious for a while that the super luxury market has been flooded,” says Kirk Henckels of Stribling. 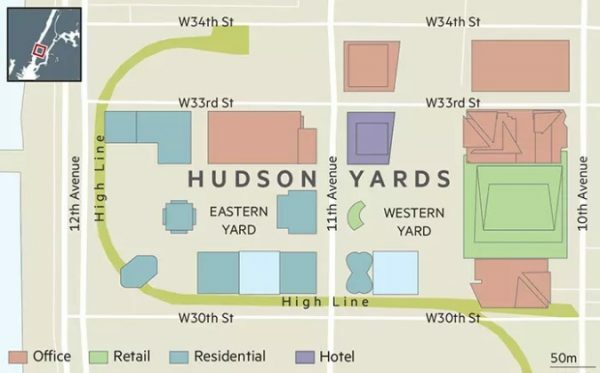 He believes that Hudson Yards’ developers will be changing the mix of apartments in buildings, including 15 Hudson Yards — where the priciest home is currently for sale for a shade under $14m — from more expensive, larger apartments to smaller, cheaper ones. The development is being built over a railroad yard by Related Cos, one of the best developers in NYC. i.e. shifting the product mix to lower-priced homes. I think that the analysts might have it wrong. Developers for the past several months have slowed down on new apartment projects, reversing a five-year trend in which rental construction boomed while for-sale home construction has lagged behind. For apartment dwellers and landlords, that suggests a recent slowdown in rent growth might be short-lived. Meh. During this 5-year development boom, the assumption that national analysts always make is that the product being built matches the bell curve of demand. Yet it hasn’t been that way. Assuming the slow down isn’t reversed in the data next month as has been known to happen, the development boom has been heavily skewed towards the upper end of the market as land prices skew higher. That has kept the high upward pressure on the bottom half of the demand as supply remained static. Overbuilding at the high-end is the reason builders are slowing down development. You can see this in NYC. Jonathan Miller, President/CEO, Miller Samuel Inc.
Because credit conditions have not normalized since the financial crisis began, mortgage underwriting has remained historically tight. In fact, the GSEs have been trying to entice lenders to loosen up a bit. We have seen that with “trainee” policies where the GSEs are fine with their use, yet lenders remain risk-averse. Average GSE credit scores are well above 700 and they have our data embedded in their analytics. As a result, it is apparent that the use of appraisal services for mortgage lending will continue to erode. We can see this with initiatives like this one just introduced by Freddie Mac. Our reality – Fannie Mae is not anti-appraisal and still need us for certain assignments. These are two ways to look at it. Short term: Reduced need for mortgage appraisals even though AVMs are unreliable. Long term: Data for analytics fed by AMC crap morphs into failure spiral. Need for more volume presses standards lower. The key is whether lenders drink the Kool-ade or remain in the fetal position. Your attendance and participation is important. Please bring questions/concerns/comments. Please note that the proposed/considered leadership revamping will be discussed. This, along with the confiscation of chapters monies, (CMG-Chapters money grab) in my opinion, will diminish the representation and voice of the individual member and certainly the chapters. The proposal would seem to result in fewer individual’s at the top with more of your dues money to spend developing programs and the international presence with even less say so by grassroots membership. My interpretation/understanding of the proposed/considered changes. Certainly subject to clarification by anyone who knows otherwise. do away with regions as they currently exist. do away with chapters on a local basis and allow each state to have only one chapter. Sub chapters a possibility. selection of the eight National Nominating Committee members will be via choosing two each from the four quadrants of the US and its territories. Prospective Board members apply directly to the National Nominating Committee. board members, selected by the National Nominating Committee, will complete a leadership training program and industrial screening, and must pass a background check. National Nominating Committee members must complete training that will be developed for them. Training and industrial testing will determine ability to function on/with existing bod members. (not that familiar with industrial screening, but someone said a lot of foreign governments with dictators have been successful in using it. Not good for those that don’t pass the screening in these situations) There is no indication that individuals that go through and do not pass the screening process will be ousted from the organization. the Board will be comprised of 16 individuals – 11 Directors and 5 Officers (President, President-Elect, Vice President, Immediate Past President & CEO). Three (3) of the Eleven (11) Directors will be as follows: (a) two Directors could be non-members representing a complementary or related field to valuation, and (b) one Director will be an International Designated Member. JUST DO THE MATH ON THE PERCENTAGE REPRESENTATION. Does this seem disproportionate? It may not be quite that bad as these figures indicate, as it has been further reported, but not personally confirmed that only 15,000 AI MEMBERS HAVE PAID THEIR 2017 DUES AS OF MAY 31, 2017 IF THOSE 3,817 MEMBERS DON’T PAY THEIR DUES, THE AI WILL EXPERIENCE A SIGNIFICANT DECREASE IN MEMBERSHIP but each director will be representing a small number. Hopefully there will be more renewals. Important to note that apparently no financial analysis of the Recommendations has been performed. Apparently no one knows if the Recommendations will save money. There is also no proof that the recommendations will create efficiencies in the organization. It would appear to send more power and authority to the top. Who prepared the research in the proposal? If the staff at national did, is there any similarity between this and appraising your own house? One question that has been posed is “ Why can’t the BOD be elected by membership at large?” There quite likely is technology that would allow this. Of course reasonable qualifications could be placed on the individual. And perhaps these publicly elected reps would only make up half the BOD. But it might encourage individuals to reach out to grassroots membership for support. Are you aware that BOD members are drilled that their duty is to the national organization and not to the chapters or members that elected them? THIS IS WHY DIRECTORS WILL SOMETIMES VOTE AGAINST THE WISHES OF THEIR REGION COMMITTEE MEMBERS. Quite frankly I have not believed National has done a good job of representing me, residential members, membership at large, the profession nor the public. I believe his considered revamping will further diminish the likelihood of this improving. 5. Did the National executive committee make a decision to sell a 15% interest in a $475 million asset for $500,000? (Anyone can make a mistake—but this one needs a lot of light shown on it so suspicions don’t develop) Admittedly I am having a hard time getting over this one and possibly I don’t understand/know the details. Did we actually own 15%? Would that have resulted in a $70 million gain if we had known what the asset was worth? Or was the 15% ownership of something else? Would that type of gain affect our dues? If you need something rock solid in your life (particularly on Friday afternoons) and someone forwarded this to you, or you think you already subscribed, sign up here for these weekly Housing Notes. And be sure to share with a friend or colleague if you enjoy them. They’ll talk about Pink Floyd with you, you’ll finally realize there is no dark side of the moon and I’ll finish off my box of Cap’n Crunch to use for Monday’s eclipse.